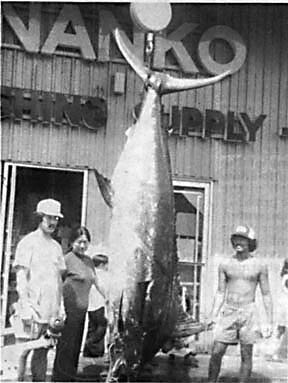 This fish was hooked 10 miles outside of Mokumanu Island, Oahu. It took 31/2 hours to bring to gaff and was caught on a lure (popper) on 130-lb test Maxima line. The reel was a Penn Senator 14/0.